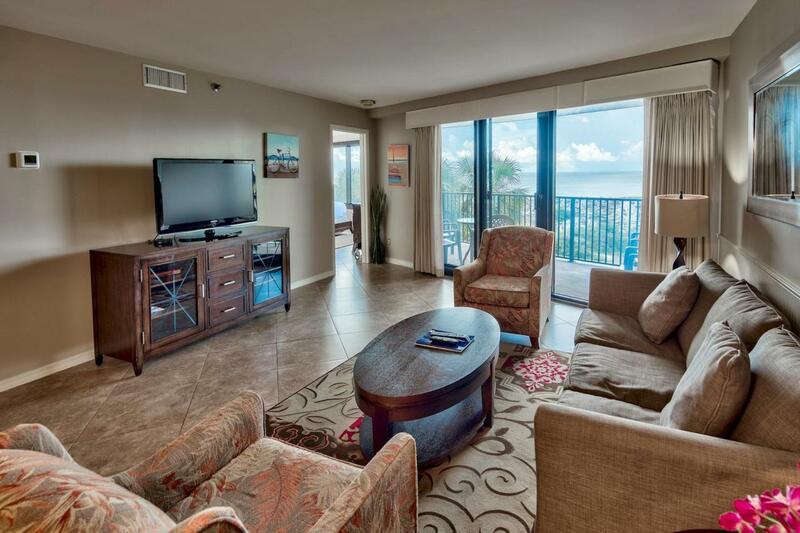 Not too high, not too low-- just right on this third floor location gulf front two bedroom two bath condominium. 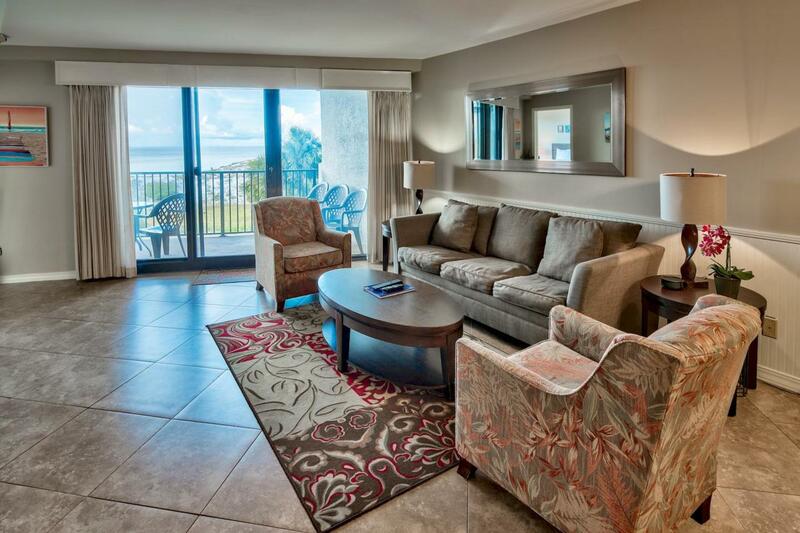 Easy living at the beach with tile throughout, including the bedrooms. The kitchen is upgraded with granite counter tops with glass tile back splash. 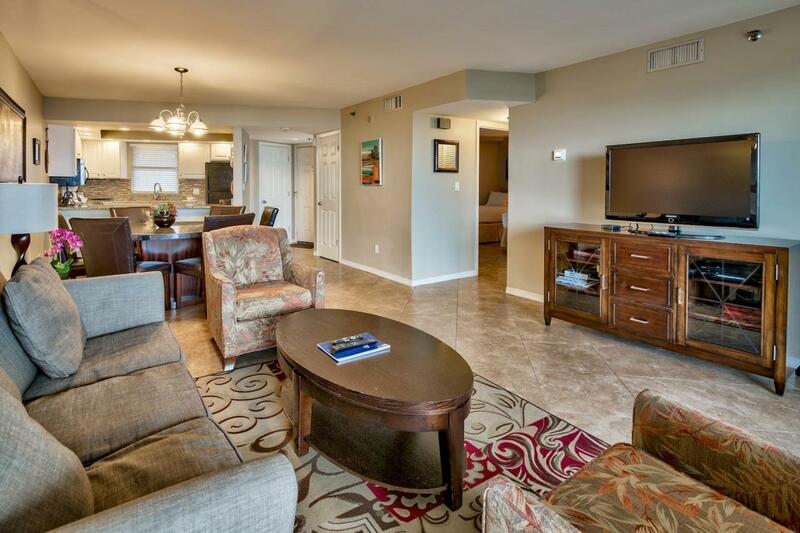 The open living and dining room provide great space for you and your family to enjoy time together. Sleep in the king sized master bed and wake up to the emerald green waters. The master bath features granite counter tops and a seamless glass shower door and tile accents. The guest bedroom has two twin beds and it's own bath.Beachside I has a fitness center off of the lobby and a large community pool with a hot tub. 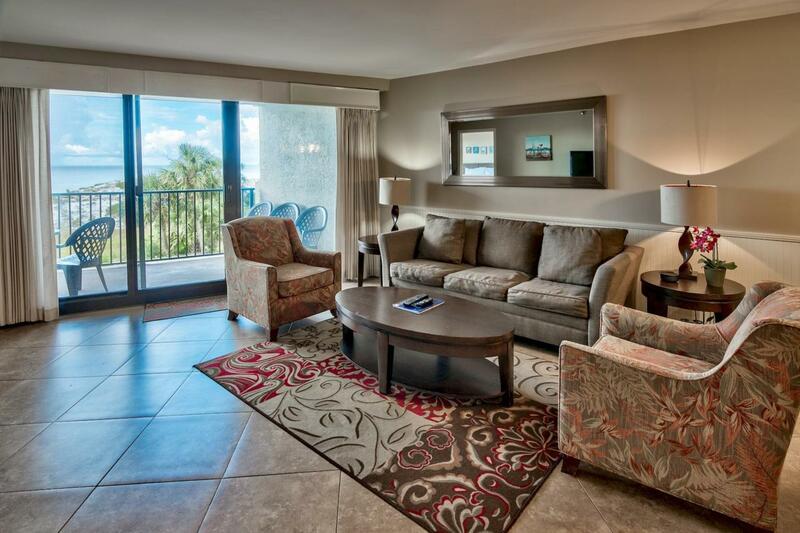 Enjoy resort living at its best with all that Sandestin Golf & Beach Resort has to offer- beach, tennis, golf, marina, basketball courts, putt putt course. The Village of Baytowne Wharf is located on the resort with retail, restaurants, nightlife and activities all year long.